As the owner, you can help your service engineer by keeping clear the area around the tank so that a visual inspection can be carried out. This allows any potential weak points in the tank, such as rust or leaks, to be spotted early. 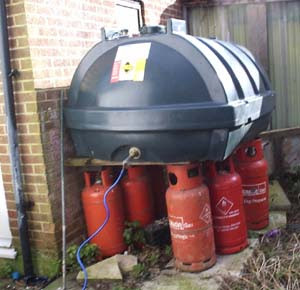 An oil storage tank should be checked when the annual service is carried out. A base that is too small can prove to be both an environmental hazard and a fire hazard. It is important that this can be checked to allow remedial work to be suggested and carried out if possible. This entry is filed under Your Fuel Tank and tagged check, engineer, safety.